Cyanoacrylates (CAs) have become the adhesive of choice for most hobby and household applications. High quality CAs such as Insta-Cure, when used properly, form bonds that in many cases are stronger than the material that is being adhered. 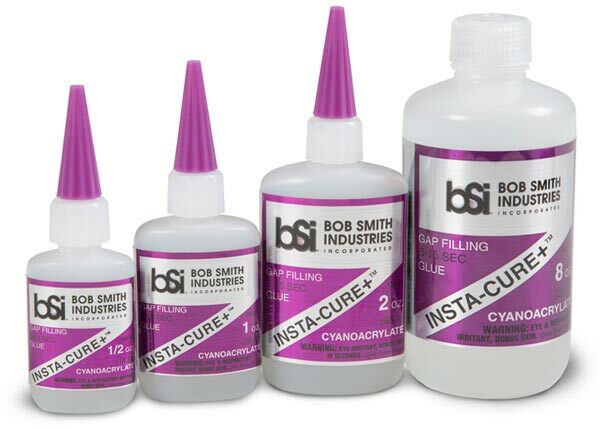 Insta-Cure is a highly refined CA which, combined with its freshness, gives a guaranteed two year shelf life.Insta-Cure+ is a higher viscosity CA for loose fitting joints in which the adhesive must bridge gaps. Normally, the thicker CA is applied to one surface and then the parts are held tightly together for about 5 to 15 seconds.